City Councilman Greg Casar announces the approval of $200,000 in emergency funds for immigrant legal defense. 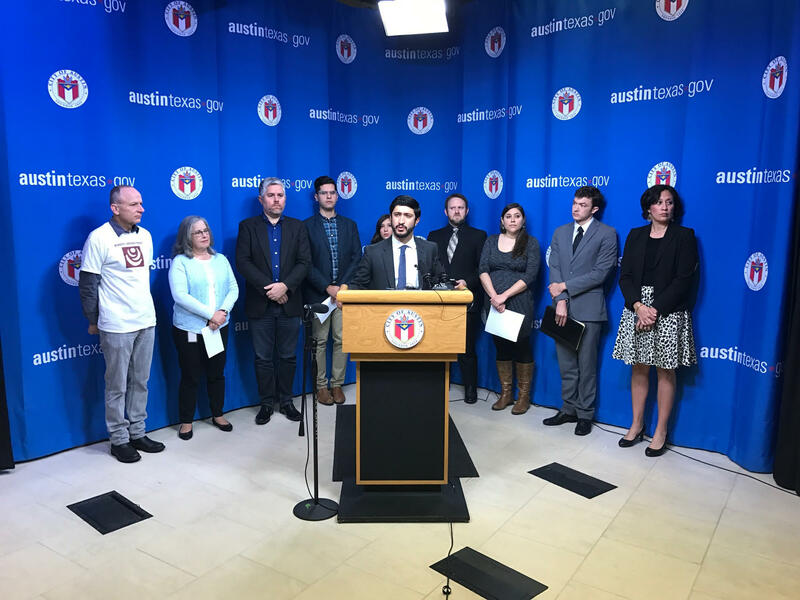 Austin City Council approved $200,000 in emergency funding for immigration legal services Thursday, while immigrants and advocates took to the steps of City Hall outside to protest ICE raids and national anti-immigrant policies. The grant expands a preexisting contract the city holds with Catholic Charities of Central Texas, which provides pro bono legal service to help immigrants understand their rights and legal statuses. Justin Estep, the director of legal services for Catholic Charities, says the money is much needed. “We’re definitely running as high as we ever have been as far as capacity goes,” he said. Catholic Charities currently serves about 140 people per month, according to Estep. He says the $200,000 grant will allow his organization and its partners to serve an additional 50 people per month. Council originally approved the distribution of an unspecified amount of funding for these legal services in a resolution that passed in December by an 8-2 vote. Don Zimmerman, who has since been replaced by Jimmy Flannigan, and Ellen Troxclair, opposed the resolution, which directed the city manager to find enough emergency funding to help 100 people a month with immigration consultations and legal fees. Council member Greg Casar, who championed the item, thanked the city manager for coming up with the money Thursday but urged council to come up with a more sustainable solution. “I think that this is an important starting payment and an emergency-type allocation, but in our budget process we will hopefully be able to plan for being able to take care of our community members long term,” he said. Troxclair suggested an amendment, which entailed lowering the $200,000 grant to $50,000 with an offer of a public match or a call to action for the community to privately raise the additional funding. No other council member would second the amendment, and Casar accused her of fear mongering and bringing the “alternative facts” conversation home to roost in the council chamber. Flannigan and Mayor Steve Adler spoke in support of the item, before Troxclair asked for a chance to respond to Casar's comments. She said she was hurt and frustrated by his unwillingness to understand the fears of many people she represents. The item passed by a vote of 10-1, with Troxclair voting no. 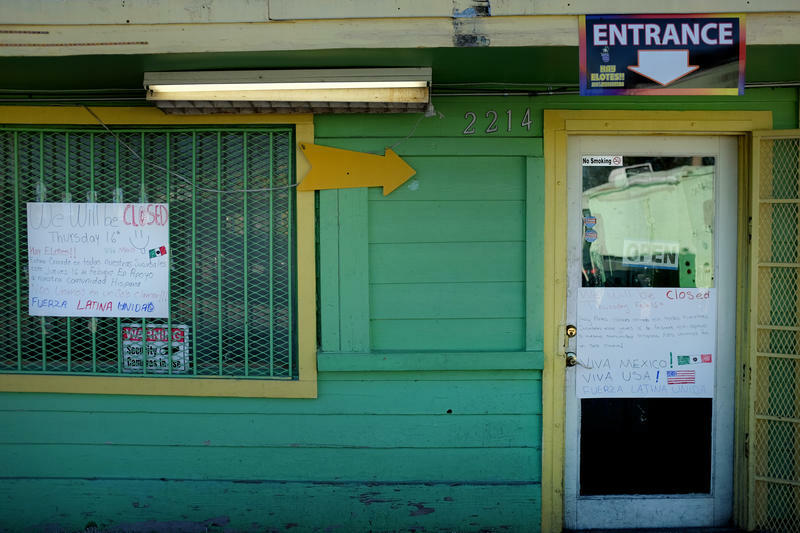 The grant comes amid fears in Austin’s immigrant community over recent arrests by immigration authorities and a push for more deportations from President Trump. Austin Businesses Strike in Solidarity with Immigrants in U.S. Businesses across Austin were closed Thursday as part of a nationwide strike to show support for immigrants in the U.S.
“Day Without Immigrants” was organized in response to President Trump’s immigration agenda, including the recent Immigration and Customs Enforcement raids, the proposed border wall with Mexico and the now-suspended travel ban. The aim of the protests is to show the contributions immigrants make in the country on a daily basis. 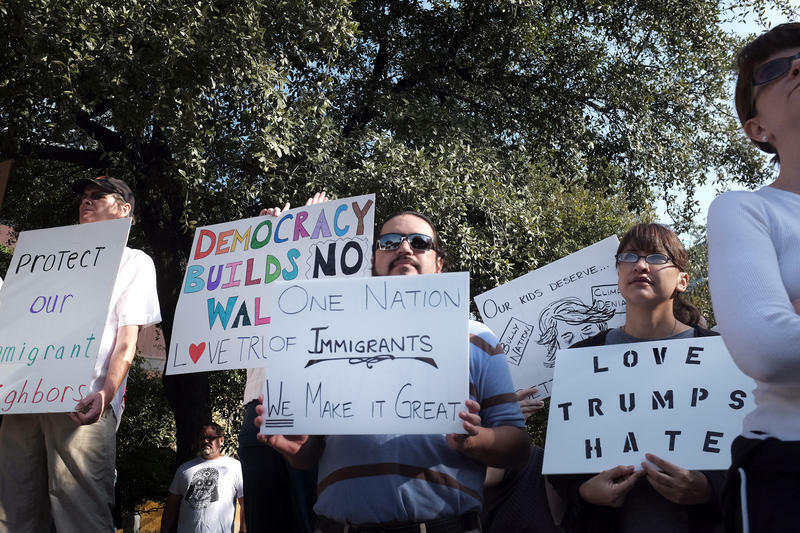 Scores of protesters gathered at Austin City Hall and marched to the Capitol in a peaceful protest of the ICE actions. 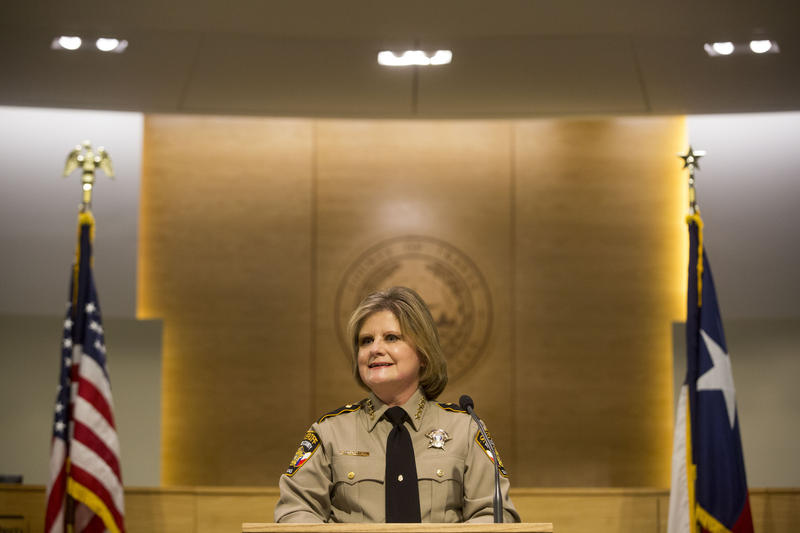 Travis County Sheriff Sally Hernandez plans to evaluate a wider range of alleged crimes in determining whether to hand over jail inmates to federal immigration authorities. Hernandez changed the policy at the Travis County Jail earlier this month, saying deputies would honor Immigration and Customs Enforcement requests to detain people for possible immigration violations only if an inmate was booked on capital murder, murder, aggravated sexual assault or human trafficking charges. 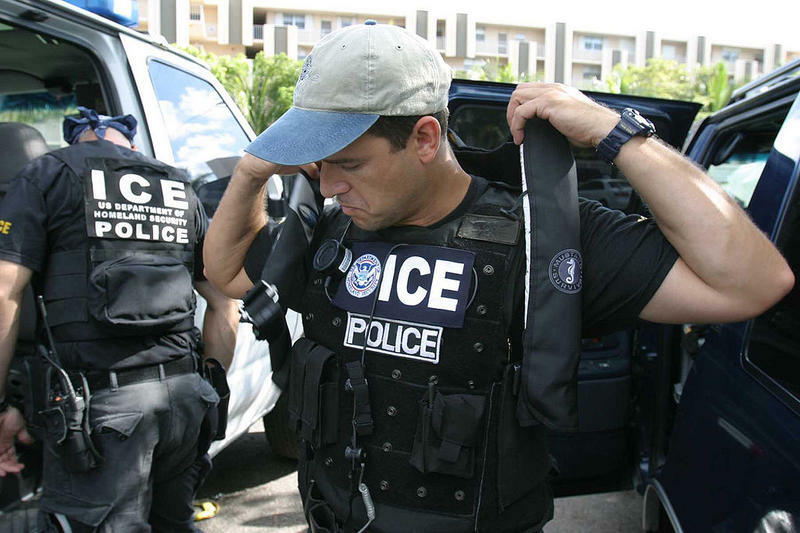 Fifty-one foreign nationals were arrested Thursday and Friday in the Austin area, U.S. Immigration and Customs Enforcement said. 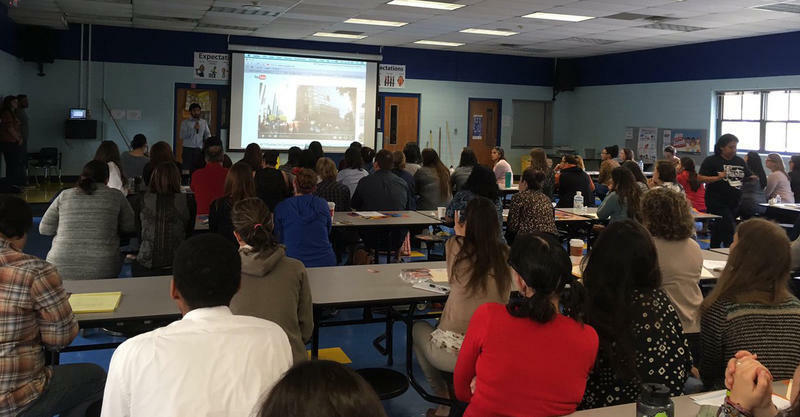 About 20 men and women sat in the cafeteria with their children at Rodriguez Elementary in South Austin after school Friday, listening to Yunuen Alvarado with the local teacher's union, Education Austin. Half a dozen posters depicting that British hit band the Beatles color the walls of Justin Estep’s office on Rutherford Lane in North Austin. It brings some levity to an otherwise tense space.